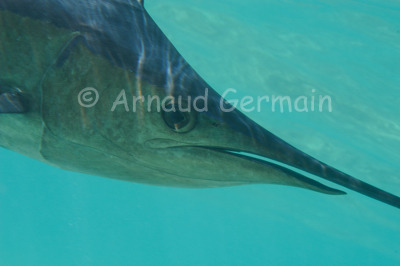 As I was swimming with the sailfish in the shallow bay of Marsa Abu Dabbab, I managed to get really close to it. I had the fish coming straight at me, then turn about 1 metre from me and swim alongside me. As it did, I took this picture of its eye as it did so. A truly once in a lifetime experience! Nikon D700, Nikon 28-105 mm macro at 70mm, F9, 1/250th, ISO 400, Ikelite Housing. No strobe.